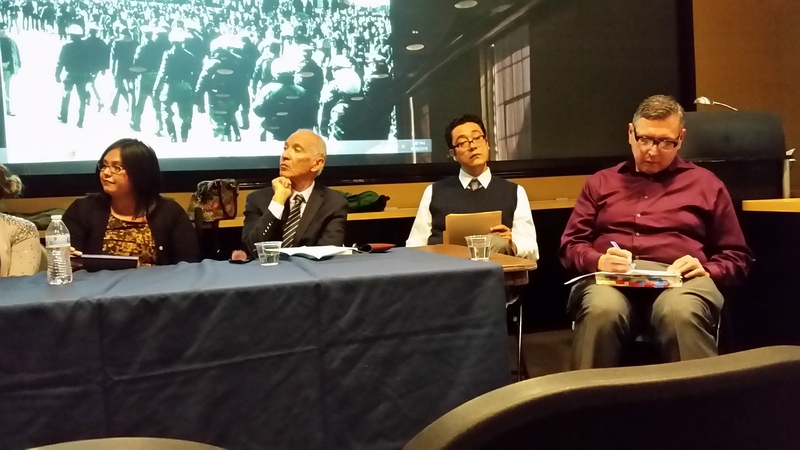 The UTEP Department of History hosted “Honoring the Legacy of Dr. Mario T. Garcia: A Graduate Student Roundtable Discussion of Chicana/o Movement History,” as part of the University’s 2016 Distinguished Alumni, on Wednesday, October 26, 2016, at the Rubin Center Auditorium on the University campus. 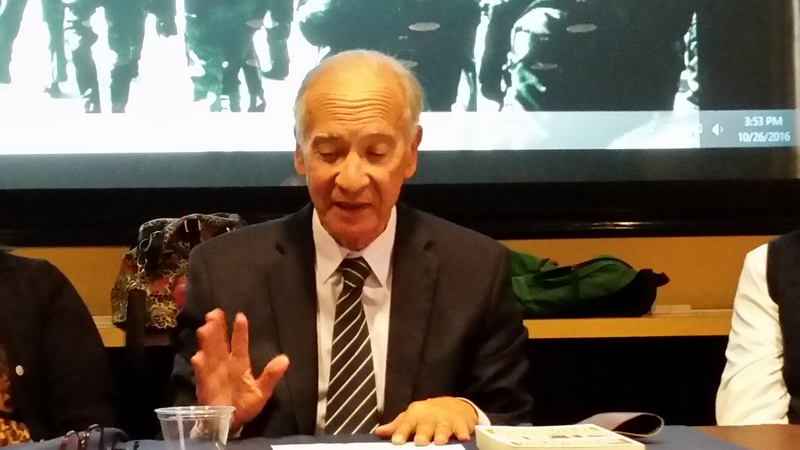 According to the UTEP History Department, Dr. Mario T. Garcia received his BA and MA from the Department of History at UTEP in 1966 and 1968 respectively. He then went on to complete his Ph.D. at the University of California at San Diego. 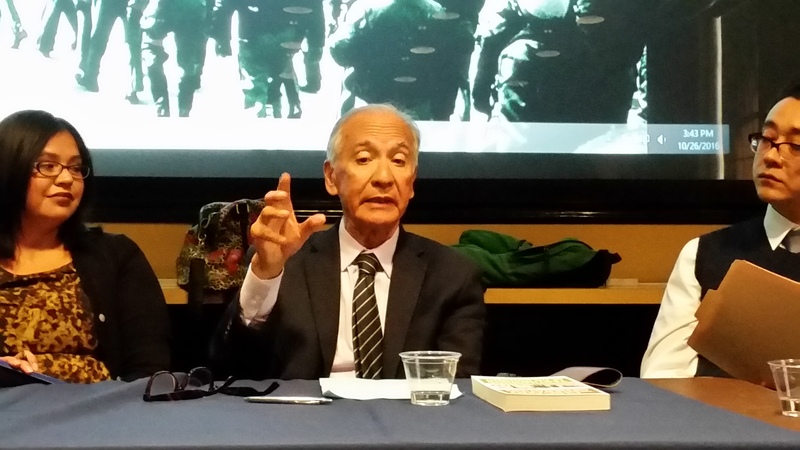 He is the author of several influential books, including Desert Immigrants: The Mexicans of El Paso, 1880-1920, which focuses on the history of El Paso between 1880 and 1920; as well as The Chicano Movement: Perspectives from the Twenty-First Century; The Latino Generation: Voices of the New America; and Blowout! 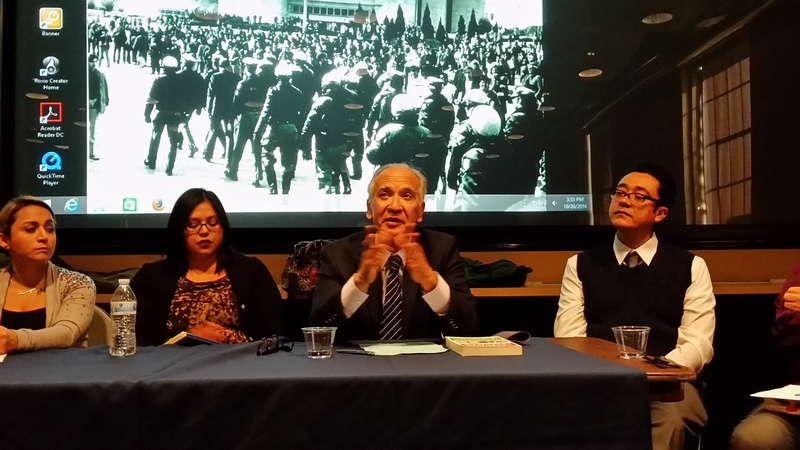 Sal Castro and the Chicano Struggle for Educational Justice. He has published approximately twenty titles in all. Dr. Garcia has received numerous awards, including a Guggenheim Fellowship. 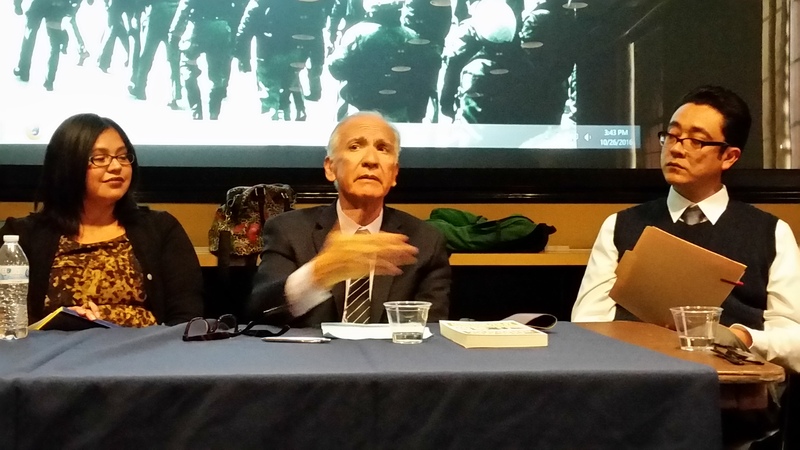 He is currently a distinguished professor of History and Chicano studies at the University of California, Santa Barbara, where he has been a faculty member for 41 years. 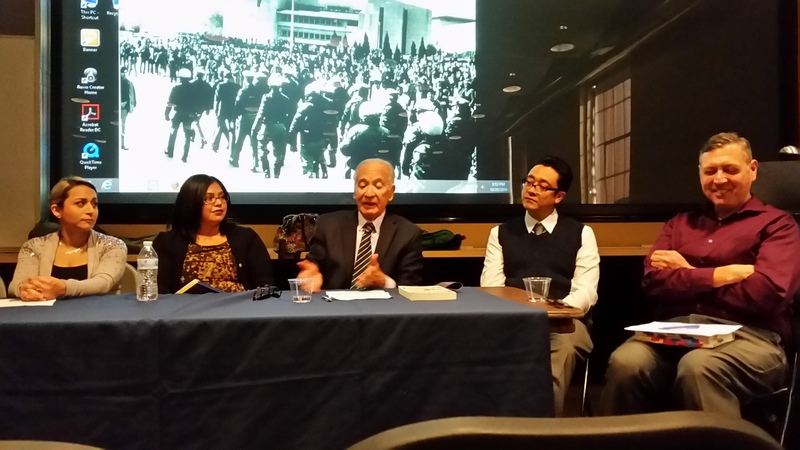 The roundtable included student discussions of their research in Chicana/o history, followed by comments from Dr. Mario T. Garcia about his life’s work. 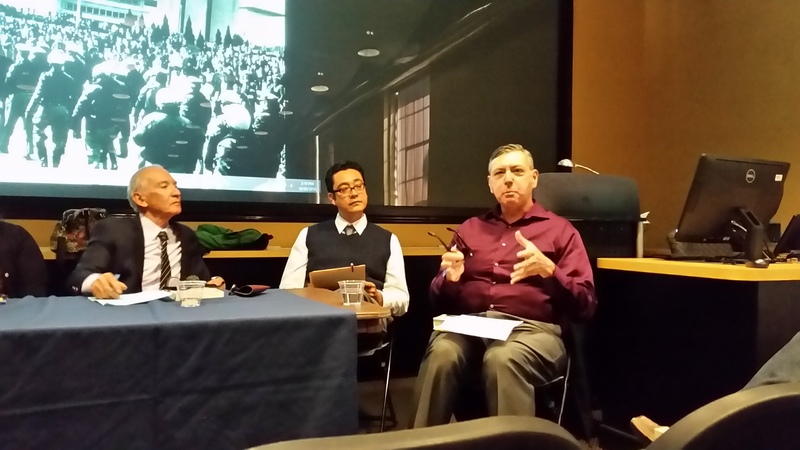 In his presentation, Dr. Garcia spoke about his development as a historian and his challenges and opportunities in writing Chicana/o history. 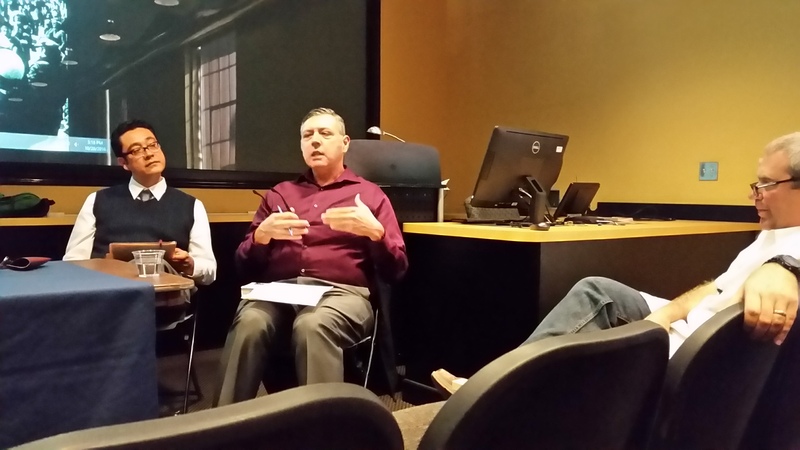 Dr. Jeffrey Shepherd, Associate Professor and Director of Graduate Studies, opened the session and Dr. Ernesto Chavez, Associate Professor (far right) introduced Dr. Garcia. 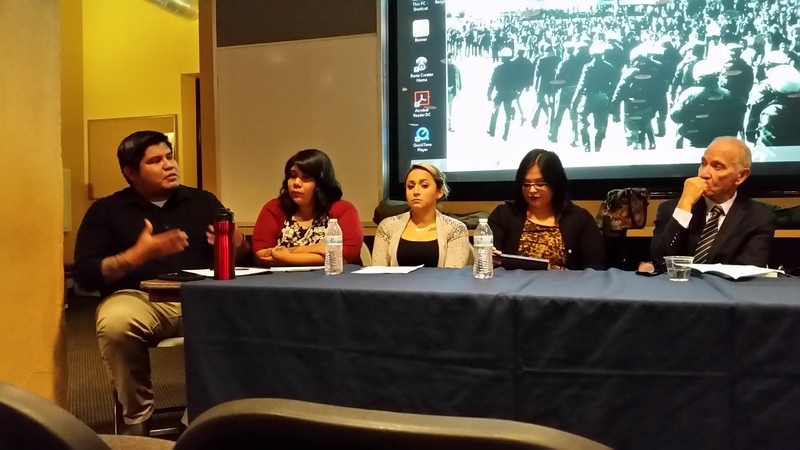 Student panelists included (from right to left): Dennis Aguirre, Doctoral Candidate; Melanie Rodriguez, Doctoral Candidate; Angelina Martinez, Doctoral student; Blanca Garcia, Doctoral student; and David Robles, Doctoral Candidate. Photographs by Miguel Juarez, Doctoral Candidate. For further information, contact the Department of History, history@utep.edu.